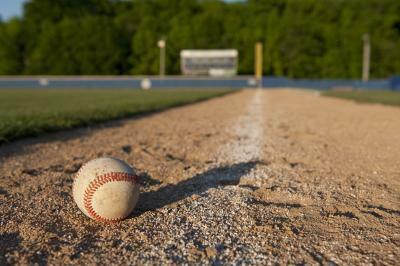 Cornelius McGillicuddy, Sr., better known as Connie Mack, once said that pitching is 75 percent of baseball. He was speaking from experience, not data, and looks can be deceiving, as people who think a curve ball move two feet can attest, but science is about understanding the world according to data, and that includes baseball. The data say he is wrong, according to a new analysis by a University of Delaware professor. Pitching is just 25 percent of a team's success. Writing in the Journal of Quantitative Analysis in Sports, Professor Charles (Charlie) Pavitt says he has created the perfect formula for MLB teams to use to build the ultimate winning team. Since hitting accounts for more than 45% of teams' winning records and fielding is 25% and pitching is 25%, general managers know where to spend their money. Stolen bases barely register in value, he says, being lumped in that 5%. He crunched hitting, pitching, fielding and base-stealing records for every MLB team from 1951-1998 and did a conceptual decomposition of offense and defense into its component parts. He then analyzed recombinations of those parts to see what impact they had in a simulation - think of it like comparing the results of one player at a position to an average player at that positions to determine real value. Pitching is overrated, in his model. Which means the San Francisco Giants did not win the World Series in 2010, even though they did, and due to pitching. His model also found the ability to steal bases is not that important in winning games. Where does his logic fail? When Connie Mack was in baseball, there was less of a statistical fetish with boosting offense because professional football was a minor sport. Since the 1960s baseball has been engaged in an intentional effort to remake baseball into an offensively-skewed television event. The designated hitter, introduced in the 1970s, making the strike zone smaller and changes to the pitcher's mound were all designed to boost offense. His statistics also cover the heyday of steroids in sports, when three players beat Roger Maris' single season home run record and even players like Brady Anderson, who had only hit 74 home runs in 10 major league seasons, suddenly hit 50 in one year. Because home runs were so cheap, stolen bases suddenly became quite expensive, thus the diminished value of those during the period he covers. His statistical period also covered a time when the home team had no rules on watering the field, so what did a slow team do when the St. Louis Cardinals of the 1980s visited? They turned the base paths into mud and more players were thrown out - and we all know a saved out is more valuable than one base. A few years from now, when statistics for the post-steroids era can be analyzed as a block, the value of both pitching and stolen bases will have risen substantially. This year, only two players, Curtis Granderson and Jose Bautista, will finish with 40 home runs. In 1996, when Brady Anderson hit his 50, 16 other players hit 40 or more. Small ball is back, pitching is king again. Sure, pitching did become overvalued, but that was primarily because offense was a juggernaut so anyone who could keep the ball down and cause a lot of singles caused the high end of salaries to jump. Sorry, Prof. Pavitt. A worthy effort, but you got thrown out trying to stretch a single into a double.